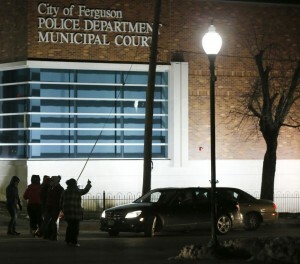 The Ferguson City Council has unanimously approved a proposal from the U.S. Justice Department meant to overhaul the city’s police department and municipal court system. City representatives spent several months negotiating the consent decree. Principal Deputy Assistant Attorney General Vanita Gupta, head of the U.S. Justice Department’s Civil Rights Division, released a statement saying Ferguson took an important step towards guaranteeing all of its citizens constitutional protections. Last month, the City Council rejected a proposed agreement and sent it back to the DOJ with changes. The Justice Department filed a federal lawsuit against the city of Ferguson for not approving the original consent decree. Earlier this month, the DOJ offered to drop the lawsuit if the City Council passed the proposal in its original form. Under the agreement, requirements include more thorough training of police officers, changes to the city’s use of force protocol and pay raises for police officers in order to attract qualified applicants. One of the major sticking points city officials argued was that the proposal would cost an estimated $2.1 million to $3.7 million the first year. An attorney for Ferguson said it would cost more to implement the agreement than it would be to fight a lawsuit. The proposal also includes all patrol officers, supervisors and jail workers would be required to wear body cameras and microphones and cameras would be installed inside police squad cars. The cameras are to be activated for all traffic stops, arrests, searches and people with a possible mental health crisis. The Justice Department opened an investigation after the August 2014 shooting death of Michael Brown Junior by then-police officer Darren Wilson. The Department determined last year that the Ferguson Police Department had demonstrated a “pattern and practice” of discrimination against African-Americans, targeting them disproportionately for traffic stops, use of force and jail sentences.